Life coach and author Tony Robbins once said; “Every problem is a gift. Without them we wouldn’t grow.” The “problem” for the HTM field has been on the horizon for some time; how do you replace legions of tenured, experienced, retiring HTM professionals? The giant 74 million-plus baby-boom generation is aging and many have already collected their gold watch. That march toward the exit leaves a void that is both personal and challenging. Long-term relationships and on-the-job experience are two qualities that will be sorely missed. The second-nature, off-the-cuff familiarity that many of these retirees have with their facility, staff and work requirements is irreplaceable. Yet, the abilities of these departing colleagues have to be replaced. Leadership must devise strategies to locate sources for trained technicians, as well as retain existing talent and provide career opportunities. “The ‘mass retirement’ issue is hitting our organization already and looks to increase as we move forward. Our site has four techs currently with tenure of eight, 10, 19 and 45 years; three will be retiring in the next five years,” says Roger Kyrouac, coordinator of clinical engineering at Advocate BroMenn Medical Center/Advocate Eureka Hospital in Normal, Illinois. “The keys for me have been hiring the right person, making them welcome, providing growth challenges, mutual respect and developing teamwork,” he says. With the merger of two health systems at Kyrouac’s employer, there is recruiting at several locations. Kyrouac points out that the recruiting process is not always easy. This is not something that health systems can afford with an exodus of retiring technicians who require replacements. “We have been working three years to fill a new position at our site; a biomed II with imaging interest. In 2016, we settled for hiring someone who just didn’t show after two weeks and sent a thankful email. In 2017, we hired someone based on the best of two candidates and they left just short of 90 days,” Kyrouac recalls. He says that last year, they steadily escalated their recruiting efforts to include third-party recruiters, received a variety of ‘settle for’ applicants and have recently performed initial phone interviews on two serious contenders who will have a second interview in person. This illustrates how competitive the HTM market is at a time when talented professionals are needed to maintain the highest standards. “We are paying to fly them in from Alabama and California with an overnight hotel; we’ve never done that before. If hired, the winner will get up to $3,000 in relocation assistance,” he adds. “Both have military training and experience in biomed and imaging, at least six years of experience, a desire to grow in imaging and a desire to find a place they can build their skills, a home and security. Based on our three-year search, this sounds too good to be true, but the phone interviews have been promising, which is why we have escalated our efforts and investment,” Kyrouac says. Compared with the past, recruiting new biomeds has been more of a challenge for managers recently, as Kyrouac illustrated. “The retirements of talented HTM professionals are certainly impacting operations at many hospitals. For me personally, I have not had any retirements from my department, although they will be occurring in about three years,” says Jim Fedele, CBET, senior program director of clinical engineering, BioTronics, at UPMC in Williamsport, Pennsylvania. “For me, since we have expanded our program to include some newly acquired hospitals, I needed to hire two people. This was harder than any time in my past, as it took a couple months to fill the positions due to the lack of qualified applicants,” Fedele says. He says that for one of the positions, he was able to find a Biomed Tech I who was eager for a job. “The other position I needed to fill was at a small remote hospital; the location certainly played a role in the difficulty finding a candidate. This position was so hard to fill we actually hired a person that did not have any biomed experience, but had military training that was related to electronics. He is actually working out quite well,” Fedele says. The endless march of technology and networking challenges has added to the prerequisite list for new hires. “We have definitely experienced difficulty in recruiting for open positions in the past few years. 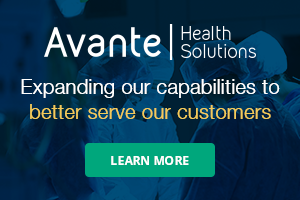 It is getting harder and harder to recruit new talent as we continue to grow, not only as an organization with new hospitals and new construction, but also with additional responsibilities such as networking, asset management and cybersecurity,” says Walter Barrionuevo, CHTM CMLSO, director of clinical engineering/end-user and infrastructure services (EIS) at BayCare Health System in Florida. Proximity to a source of biomed talent seems to be a determining factor in a health system’s ability to locate replacement HTM professionals. “In the eastern part of Virginia, we can fill open positions without too much issue. We have the Naval Hospital in Portsmouth. There is almost always a clinical engineering technician who is getting out or retiring looking to stay in the area. Of course, these technicians are looking for a senior position. They are highly trained and have a good work ethic,” says Richard “Rick” Davis, CBET-E, a retired CE manager with 37 years in clinical engineering and an active member of the Virginia Biomedical Association. Davis says that ECPI University did have a clinical engineering degree at its Virginia Beach and Roanoke campuses which helped fill entry positions in those areas. He says that this training has been moved to North Carolina, so now employers must look at anyone with electronic or computer training that is looking for something challenging or different. “On the bright side, Centura College is looking into starting a clinical engineering department at its Virginia Beach campus. Members of the Virginia Biomedical Association, AAMI and others have been consulted to help start this program,” Davis says. He says that recruiting on the western side of the state can be more challenging and requires more networking. This is another conundrum for hiring managers since many are not close to the leading training programs. This requires prospective new hires to also look beyond their local area. “Competition is real; the only way to get some of the best is to focus on those who are looking to settle down and work in one place. Not everyone is willing to make the sacrifice of windshield time for more money; that also places a burden on family relationships,” Kyrouac points out. Part of the strategy for management is to retain valuable team members. Job satisfaction is a strong determinant in retaining the best in the HTM profession. For those seeking a career ladder, promotion opportunities lead to more contentment on the job. “Our number one focus is first to retain talented staff to reduce turnover, and then to have a program in place that offers technical and leadership training to prepare staff for future openings. Our organization has created an ‘Aspiring Leadership’ program for team members who are currently not in a leadership position, but who desire and demonstrate leadership potential. This program, which is completed after several months, prepares the team member in the skills required for future leadership roles,” Barrionuevo says. He says the next step is to have honest and frequent conversations with staff to help identify future positions needed. “Having an active succession plan in place will alleviate the need to find external candidates to fill positions being vacated due to retirement. We have not yet lost any positions to retirement, but have experienced recruiting headaches for other open positions. We have engaged our internal recruiting department to use social media and job recruiting sites to assist in filling open positions. Additionally, we have utilized temporary workers and used talent agencies when appropriate,” Barrionuevo adds. Accounting for nearly 75 million members of the U.S. population, the baby-boom generation is one of the largest segments of the populace. The oldest of the baby boomers began turning age 65 in 2011. They account for some of the most experienced members of the U.S. workforce – that includes HTM. “Our industry is full of baby boomers that are retiring in record numbers. It is affecting OEMs, ISOs and in-house departments equally. Also, there aren’t the number of schools training biomeds [and] the number of candidates is smaller than any time in the past. I think these issues are going to force our industry to really change how we do things and who is doing it,” Fedele says. “The trick is going to be balancing compliance and regulation with manpower. As an industry (including OEMs) we are going to need to evaluate all our activities and decide if they are valuable and necessary activities. I am hopeful as more of our senior techs retire, we can let go of some of the practices that really don’t make sense in this day and age,” Fedele adds. A different perspective emerges when those members of the baby-boom generation are not ready for retirement and are looking for new opportunities in the field. One full-time, third-party recruiter sees both sides of the dilemma. “It appears that many of my HTM cohorts are retiring at 65 to 67 years of age. However, candidates that come to me looking to work to an older age are concerned that they will not be looked at because they are in their late 50s or early 60s. Their wealth of knowledge and experience are much more valuable to an employer than a candidate that has only 10 to 15 years experience. Remind the interviewer that the 60-year-old is now comparable to a 40-year old,” says Doug Stephens, CBET, founder of Stephens International Recruiting Inc.
“Mergers and acquisitions cause a great deal of concern to the employee. They often are in fear of losing their position. We like to remind the candidate that, with the current shortage of HTM personnel, they will have opportunities that may enhance their career. They should be willing to relocate to where the opportunities are with the new organization,” Stephens says. He also points to the readiness of military BMETs and the advantages of their training and availability. “The DOD biomedical training course at Fort Sam Houston trains between 400 to 440 students per year, which is the largest group of BMET graduates in the nation. People should remember that these soldiers, airmen, and sailors often will have a move, paid for by the Department of Defense,” Stephens adds. According to Stephens, the combined associate/technical and bachelor’s degree programs nationwide only turn out approximately 271 graduates annually. Worse yet, at least four of those degree programs have been partially or fully closed in recent years. 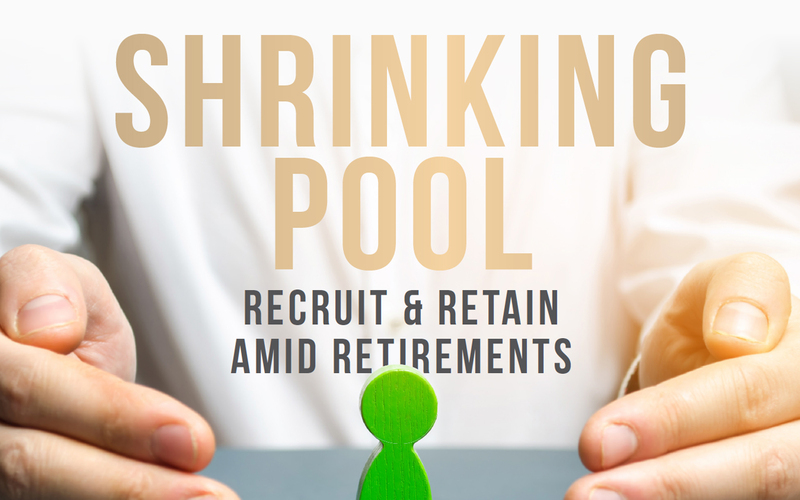 That leaves a handful of structured training programs to repopulate a shrinking workforce. This means that the challenge with the mass retirement of baby boom biomeds isn’t just with employers and hiring managers, but with those tasked with training the next generation to replace them. “The impeding HTM tech shortage is a double-edged sword. Just as so many are beginning to retire from this profession, we see one of the biggest down turns in student enrollment in the nation’s community college systems. Add that to the many BMET programs that have shut down in the past several years, and the crisis becomes more and more evident,” says John Noblitt, M.A. Ed, CBET, BMET program director at Caldwell Community College in Hudson, North Carolina and owner of a CBET certification preparation business. “Here at Caldwell, I have seen a significant increase in inquiries into new graduates from employers and recruiters. I have also seen an increase in requests to host students in an internship program,” Noblitt says. He says that the problem is with such a decrease in enrollment, it’s almost impossible to expand any portion of the BMET program. “Last summer, I had a former student who is now in management for a national service company [who] said he will be needing to hire around 100 techs in the next three to five years. At the time, I had no students interested in the positions he had open because of the location. Students seem to be much pickier about the first job they will consider than in the past,” Noblitt says. He says that he has reached out to the Health Occupations Students of America (HOSA) organization to form a better relationship and hopefully be able to recruit potential candidates into an HTM/BMET program. “This is not an easy task, as so few HOSA instructors or high school guidance counselors know about the opportunities the HTM field has to offer. I’m hoping these efforts will not only increase student numbers here at Caldwell but also provide some much-needed exposure of the HTM field to high school students. This more traditional way to recruit students may not be enough as the high school population is shrinking in the USA so it just leaves the task that much harder to accomplish,” Noblitt adds. He suggests that more aggressive ways might be needed to explore possibilities to recruit more students into the HTM field. “Here at Caldwell, we are beginning discussions on how this might happen. We are looking at doing more online classes and put all the hands-on lab classes in one or two semesters so students could possibly only spend four months on this campus. Another possibility is for larger hospital systems, that may need several techs, to partner with a BMET/HTM school program and let the hospital facility provide the hands-on opportunities and have a college provide the foundational knowledge such as anatomy and physiology, electronic theory, safety and standards, medical instrumentation and other program courses,” Noblitt says. In the end, the replacement of a large percentage of the departing HTM segment becomes a push-and-pull problem. There has to be a more effective way to push more young people into the field and get them involved in training programs. The “pull” has to come from health care employers who make it clear that there is a demand for workers in this profession. “To solve this crisis, some thinking outside the box must occur,” Noblitt suggests.